Own a repro of the Lost Grail! 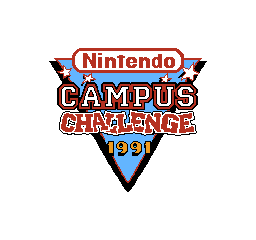 In 1991 Nintendo created another nationwide contest after the success of the 1990 NWC. 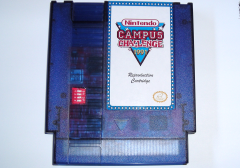 This time the event travelled to around 60 college campuses where thousands of students battled for a chance to compete for the next Nintendo World Champion title. 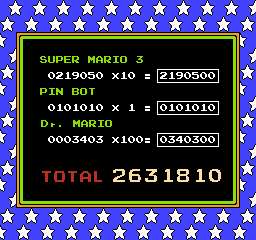 To compete, gamers had to grab twenty five coins in Super Mario Bros. 3, get 100,000 points in Pin Bot, and reach the highest score they could in Dr. Mario, all before time ran out. 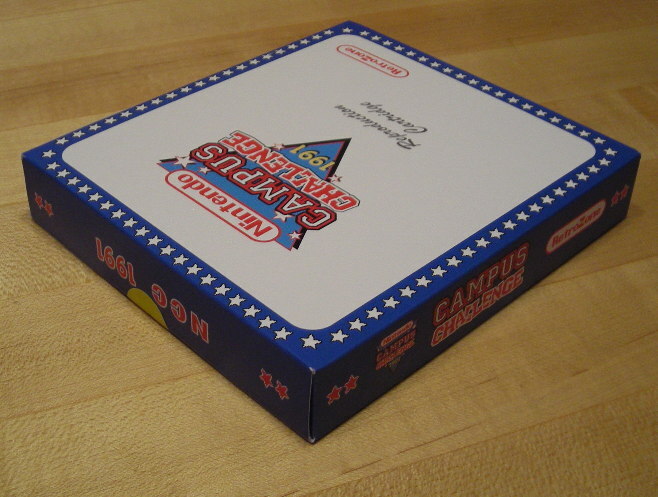 At the event, all three games were combined into a special cartridge made specifically for the NCC. Almost all of these cartridges were destroyed and now only one is known to exist. 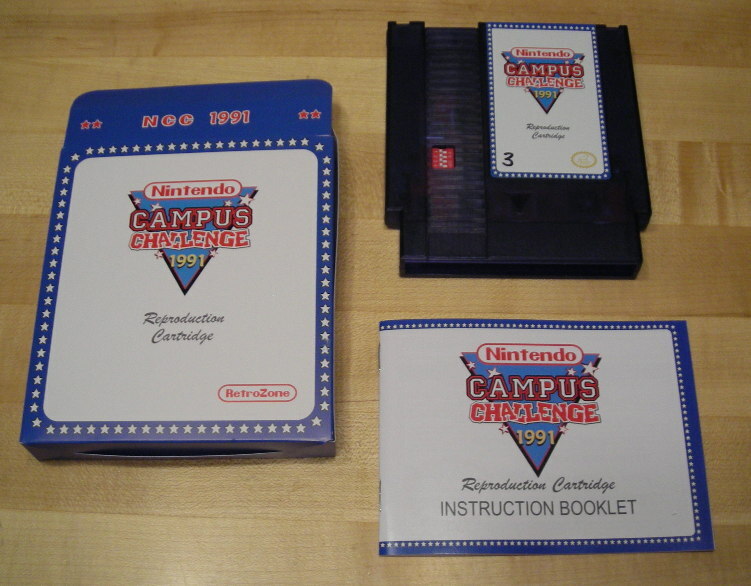 Not publicly played in 17 years, now you can experience the thrill of the competition in your own home with the Nintendo Campus Challenge 1991 Reproduction Cartridge! The cart is complete with DIP switches, which can be set up for the official contest time of around 6:21. The multi region Ciclone in the cart means it will work on NTSC, PAL A, PAL B, or Asian NES systems without needing to disable the lockout chip. 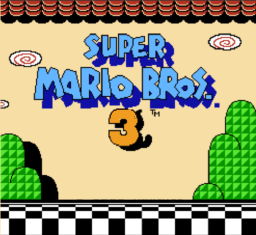 If you have a top loader this board will still work fine, unlike the original. The game will run slower on PAL systems but the time limit will be extended.